I hope you all had a happy holiday! 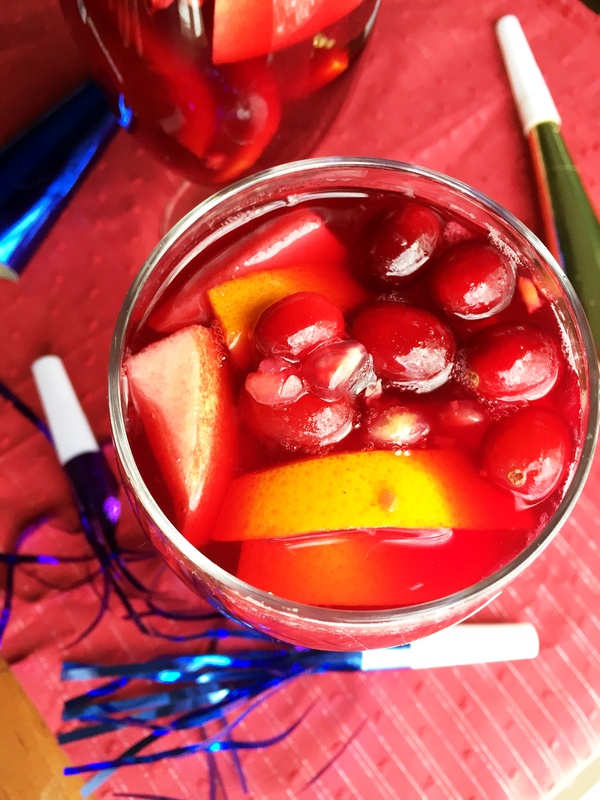 I know I’m cutting it close with a recipe for a New Years Eve drink, but I have such a fabulous health-boosting punch to share that I can’t wait until next year. I was planning to get this recipe posted yesterday, but it seems that time got away from me and well here I am just hours away from the ball dropping. There’s still time! Actually this non-alcoholic punch would be a tasty little treat anytime. So don’t think you need an excuse to mix up this healthy cocktail. My husband and I don’t drink much in the way of alcoholic beverages these days. In fact, I haven’t had a drop of alcohol since before I was expecting my daughter. Before that, we would occasionally drink some wine, but honestly we left our partying and drinking days behind us long ago. It just isn’t something we even think of. This year, I thought we’d ring in the new year with a beautifying, health-boosting, and pretty-looking drink. 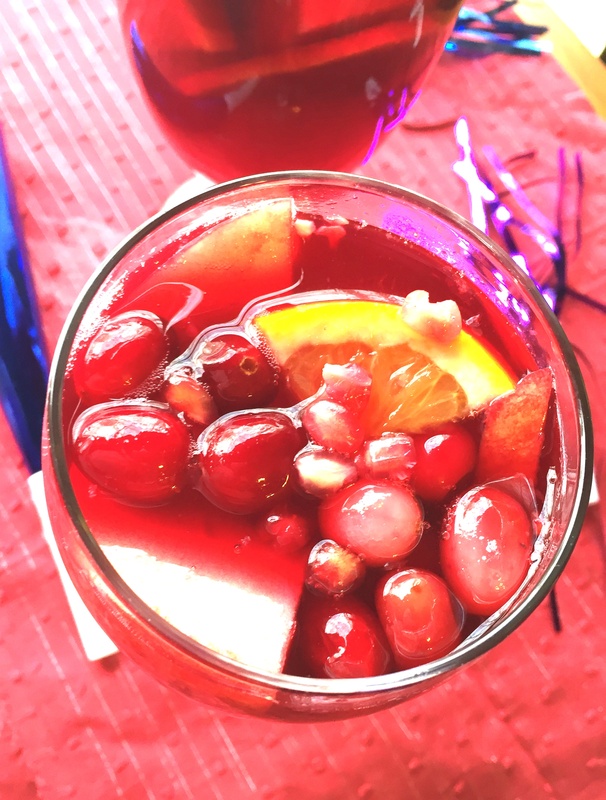 If I had to choose a celebratory libation, it would definitely be a red wine sangria. 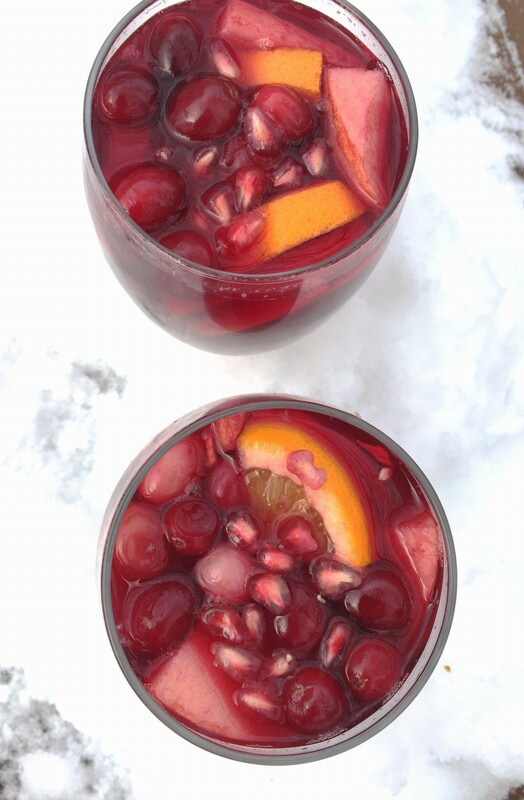 Usually I associate sangria with a hot summer day, but I had this idea for a winter-themed cranberry sangria with a touch of cinnamon, apples, and citrus. I topped off the punch with one of my favorite health drinks, raw kombucha. Kombucha is a fermented wonder-beverage that has many health benefits including improved digestion, enhanced immunity, increased energy, liver cleansing, and relief of constipation. Some even claim it helps reduce stress and enhances weight loss. 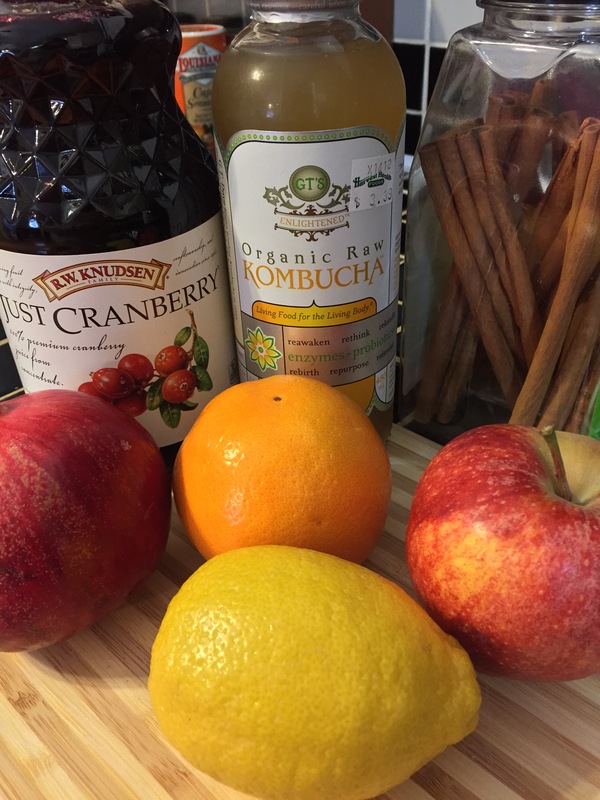 Kombucha has even been said to help cure a hangover, so maybe you should save this punch for New Years Day, if you happen to be imbibing this NYE. The Kombucha adds a nice fizz and it actually has a tiny touch of alcohol, making this punch taste almost like an authentic sangria. 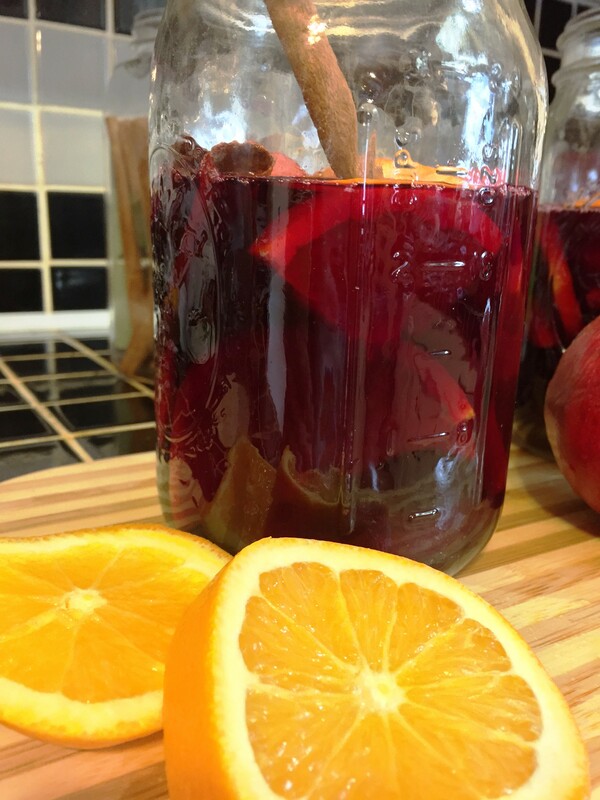 This sangria is also brimming with antioxidants from the oranges, lemons, apples, and cranberry juice. Ok, enough talkie talk! 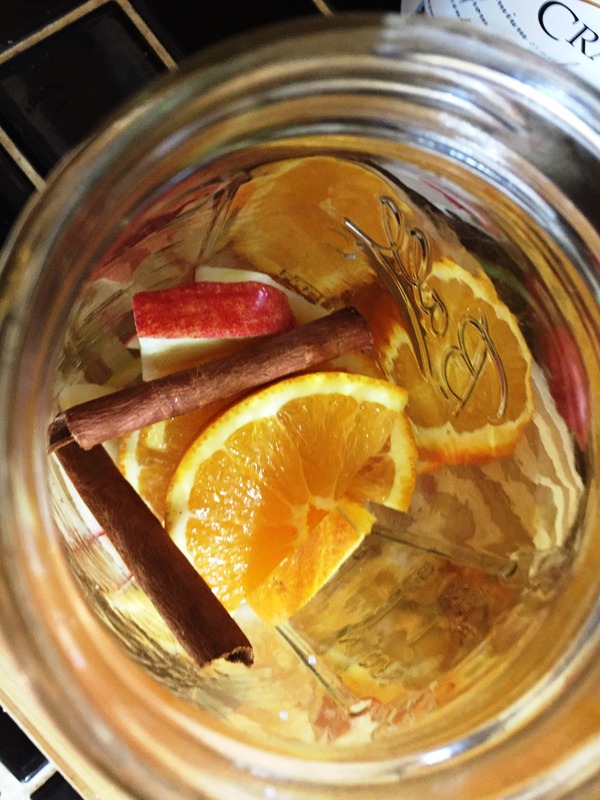 You’ve gotta get to the store and grab a few things, and whip up this healthy Winter Sangria Punch! Happy 2015!! I used two quart mason jars to mix my ingredients. Just divide the fruit between the jars, then fill up to about the 2 1/2 cup line on both jars with the cranberry juice. Add 1-2 cinnamon sticks to each jar. Chill in the fridge until ready to drink. Remove the cinnamon sticks, and pour the cranberry/fruit mix into each glass, filling about 3/4 of the way (or more or less). 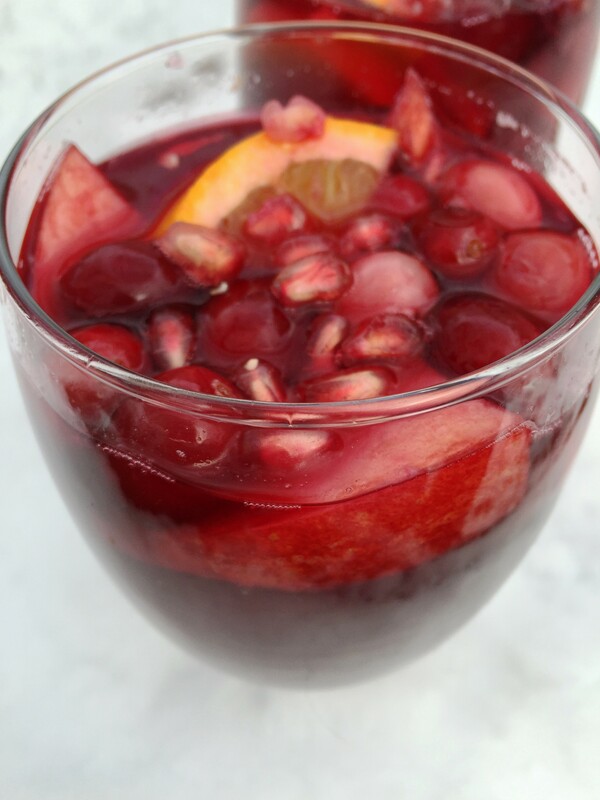 Then, top with kombucha and garnish with pomegranate seeds and cranberries. Cheers!